Dr. Irving Newman is an experienced board certified pediatrician, a fellow of the American Academy of Pediatrics as well as a member of the Massachusetts Medical Society and Middlesex North Medical Society. He is a member of the pediatric Board of the Massachusetts chapter of the American Academy of Pediatrics. Dr. Irving Newman enjoys mentoring medical and nurse practitioner students and is a frequent lecturer for expecting parents at Lowell General Prenatal classes. He is an Assistant Clinical Professor at Tufts Medical School and an Assistant Clinical Professor at Penn State College of Medicine. He teaches pediatrics as a Assistant Clinical professor for the nurse practitioner program at Mass General and as a Assistant Clinical Professor at Boston College nurse practitioner program. Prior to joining his son and colleague at Drumhill Pediatrics in August of 2007, Dr. Irving Newman established Chelmsford Pediatrics and was the managing senior partner for over 20 years. Dr. Newman has been an active member of the community previously serving as Chief of Pediatrics and Nursery at Lowell General Hospital and Saints Memorial Medical Center. 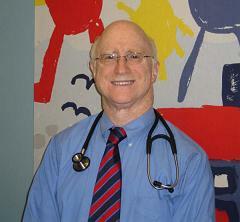 Dr. Newman was a member of the pediatric liaison committee for Tufts HMO. Dr. Newman graduated medical school from the University of Miami School of Medicine. He then completed his pediatric internship at Medical College of Virginia and his pediatric residency at Montefiore Hospital Medical Center in New York. Dr. Newman was a Major in the United States Army Medical Corps where he served as Chief of Pediatrics at Kagnew Station in Ethiopia. After returning to the United States, he completed a one-year neonatal fellowship at the Cleveland Metropolitan Hospital in Ohio. Dr. Newman has special interests in all age groups from newborns to young adults. He has special training in emotional and psychosocial issues in children and families. Dr. Newman is the recipient of many awards including the Patient choice awards, Compassionate Doctor Recognition, Castle Connolly Top Doctors of boston and Vitals Top Pediatrician Specialist. Dr. Irving Newman and his wife Judi reside in Chelmsford,Massachusetts where they raised 3 children. He enjoys his free time boating, jet skiing, fishing, gardening and exercising. He is a seasoned traveler who loves photography.